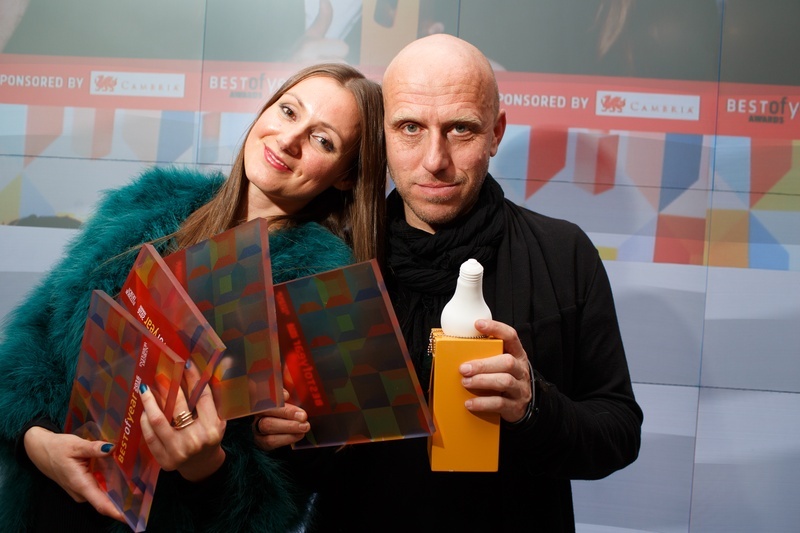 Anastasia SU, director of 13&9 Design and her partner and husband Martin Lesjak, CEO of INNOCAD architecture attended the award ceremony for Interiors Design Magazines’s Best of Year 2016 at Frank Gehry’s IAC Building in New York City. Both firms were honored in four categories – “Flooring: Carpet/Broadloom,” “Exhibition,” “Beauty/Spa,” and “On the Boards: Residential” – and received Best of Year 2016 Award for 13&9’s flooring collection #TOPOGRAPHY designed for Mohawk Group. On behalf of the team at 13&9 and INNOCAD, we would like to thank our collaborators, supporters and friends! A global design awards program dedicated to the year’s best products and projects. Interior Design’s Best of Year is the design industry’s premiere design awards, honoring the most significant work of the year as well as recognizing designers, architects and manufacturers from around the globe. Now celebrating its 11th year, Interior Design’s Best of Year (affectionately known as BoY) has become the ultimate measure of excellence, showcasing what’s happening today in every category of design while simultaneously setting the design bar even higher for the future. The BoY awards ceremony, held in December, draws 1000+ world-wide attendees. Winners are announced LIVE at a festive ceremony and take home the coveted Best of Year Bulb award, designed by icon-to-be Harry Allen. Winners and Honorees are featured in the December issue of Interior Design, dedicated to Best of Year, and on interiordesign.net.